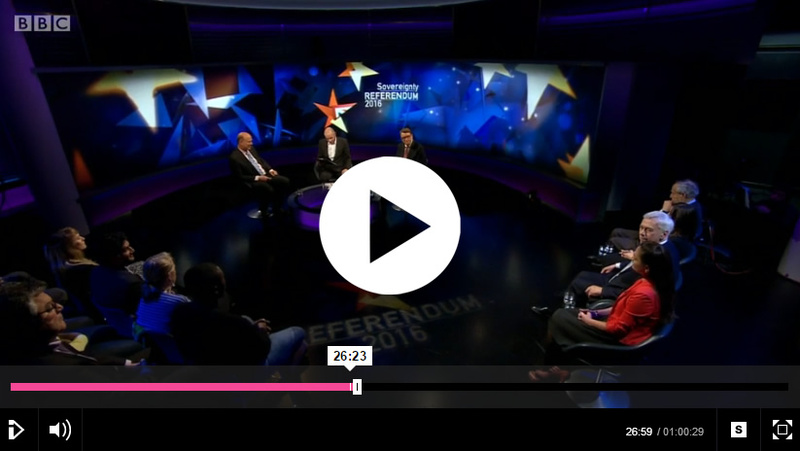 Siobhan Benita appeared on BBC Newsnight last night in a discussion on the EU referendum. It was the first in a series of debates the programme is having about the referendum and last night’s debate was on the issue of British Sovereignty. You can watch the full episode on the BBC iPlayer (available till mid-May). Siobhan’s appearance is at 27 minutes.